Most triathletes would enjoy training more if they could, but when more training time isn't an option, The Time-Crunched Triathlete brings effective tools to make sure you can keep racing using the time you have. 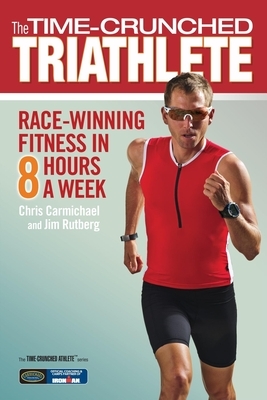 Chris Carmichael was an Olympian and a professional cyclist before becoming a renowned coach and best-selling author. He has coached elite athletes since 1990, was recognized as the U.S. Olympic Committee Coach of the Year, and was inducted into the U.S. Bicycling Hall of Fame in 2003. Jim Rutberg is the editorial director and a coach for Carmichael Training Systems and co-author, with Chris Carmichael, of the New York Times best-seller The Ultimate Ride (2003), Chris Carmichael's Food for Fitness (2004), and 5 Essentials for a Winning Life (2006).